Since listing on the Australian Securities Exchange in 2005, Norton has grown to become one of Australia’s largest domestic gold producers. Norton’s namesake Norton Gold Mine, located 100km south of Gladstone in Queensland, delivered the Company’s first gold production just months after its ASX listing. After having been in care and maintenance, agreement for the sale of the project to Mantle Mining Corporation Ltd was finalised in November 2013. The next defining milestone in the Company’s history was its acquisition of the Paddington Gold Mine near Kalgoorlie in Western Australia from Barrick Gold Corporation in 2007. With its 3.3mtpa processing plant, multiple open-pit mining operations and an extensive pipeline of known projects and exploration targets, the all important acquisition marked Norton’s emergence as a key player in a world class gold province. Norton set about revitalising the flagship Paddington Operations with a workforce of approximately 450 people and annual gold production in excess of 170,000 ounces. In September 2008, Norton successfully bid for neighbouring Bellamel Mining adding some 2 million ounces of gold to the Paddington Operations’ resource. The following year, 2009 marked the official opening of the Company’s first underground mine at Paddington – the Homestead Underground Operations. Homestead has proven to be a significant success story, as mining depletion of the high grade ore continues to be replaced through exploration and discovery of new, high-grade mineralized zones. In August 2012, Norton’s major shareholder, and China’s largest gold producer, Zijin Mining Group Co., Limited increased its stake in Norton to 89% following a recommended takeover offer to shareholders. With the financial and technical backing of Zijin as a supportive major shareholder, the company is in its best position yet to realise the full potential of the Paddington Operations. 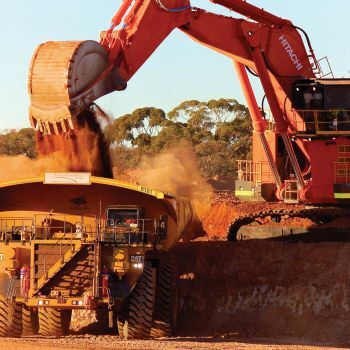 April 2013 saw the announcement of a friendly off-market takeover of neighbouring Kalgoorlie Mining Company (KMC) whose key asset the Bullant Gold Project is just 28kms west of the Paddington Mill. May 2013 marked the official opening of the new base-load Enterprise Mine, which, when it reaches full ore production capacity, will supply the bulk of ore to the Paddington Mill and contribute greater than100,000oz pa to Norton’s growing gold production. Norton poured it’s 1 millionth ounce of gold in mid 2014 and later that year acquired the Bullabulling Gold Project in a takeover of Bullabulling Gold Limited. Work continues to review and advance Bullabulling towards production. Norton also purchased the Mount Jewell Project north-east of Norton’s Paddington Operation. With a sizeable footprint in a world-class gold province, a strong production pipeline, an exciting portfolio and the support of China’s leading gold producer Zijin Mining; Norton has a very bright future. Today, Norton has a mineral resource of 10.35 million ounces, including a 1.11 million ounce ore reserve, for a sustainable mine life of more than 10 years. 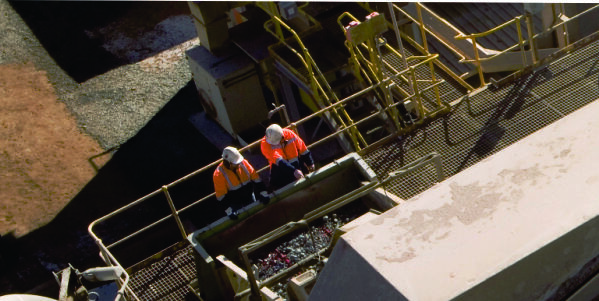 In CY2014 Norton recorded gold production of 178,269 ounces – the highest annual production since the acquisition of Paddington Operations in 2007. Following a successful takeover offer, Norton become a wholly owned subsidiary of Zijin Mining in June 2015. Just a few months later in August 2015 Norton celebrated the 30th Anniversary of its Paddington Operations. At a ceremony on site, dignitaries including The Hon. Bill Marmion, Minister for Mines & Petroleum; Wendy Duncan MLA, the Member for Kalgoorlie and Dr. Huang Qinguo, Perth’s Chinese Consulate General joined representatives of Norton’s Chinese owners, Zijin Mining Group, along with suppliers, contractors and employees to celebrate the milestone.